These days so much of interesting content keeps pouring in on the web that it becomes difficult to keep a track of the best shows on offer. As someone who takes a keen interest in the content available on the web, I endeavor to keep a track of new shows well in advance so that I don’t end up missing anything that’s worth a watch. 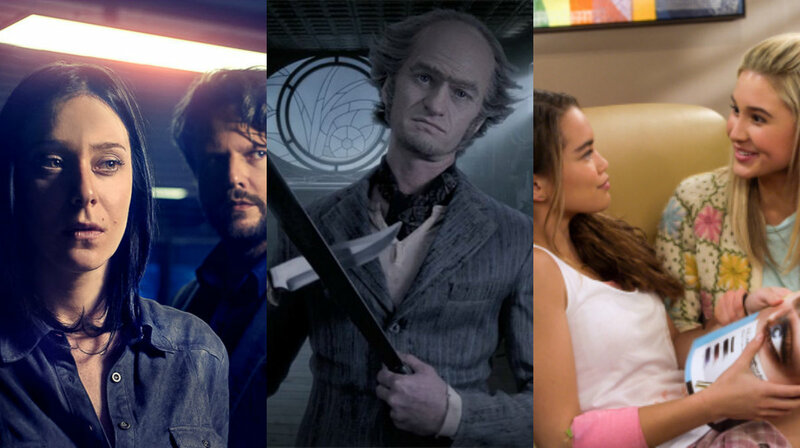 After careful scrutiny, I have chosen the best of the best for you from the Netflix's upcoming shows in the final week of March. A crime thriller based on corruption in Brazil’s oil and real estate corporations, The Mechanism stars Selton Mello, Caroline Abras, and Enrique Diaz in the pivotal roles. Created by Elena Soarez and José Padilha, the series, inspired by true events, will be available on Netflix India from March 23. A six-part fantasy series, Requiem stars Lydia Wilson, James Frecheville and Sian Reese-Williams in major roles. If you are a fan of supernatural thrillers then Requiem will be right up your alley. Created by Kris Mrksa, Requiem also stars streaming on Netflix India from March 23. A sitcom revolving around two friends eagerly awaiting their start of the freshman year in high school, Alexa & Katie endeavors to explore modern-day female friendships. The thirteen-part first season of the series, created by Heather Wordham, will be available on Netflix India from March 23. The second season of Santa Clarita Diet, starring Drew Barrymore and Timothy Olyphant, starts streaming on Netflix India from the 23rd of March. Following a successful opening season, the horror-comedy series, created by Victor Fresco, is back with ten more episodes of gore-filled fun. Few things can get funnier than A Series of Unfortunate Events. After a rollicking opening season, the series is back with a ten-episode second season. Revolving around the extraordinary Baudelaire orphans and the evil Count Olaf, the first season of A Series of Unfortunate Events presented black comedy at its best. Developed by Mark Hudis and Barry Sonnenfeld, the series is based on the children's book series of the same name by American author Lemony Snicket. The second season will be available on Netflix India from March 30.